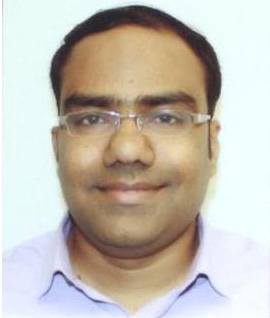 Dr. Pratheeshkumar Poyil is an Associate Scientist at Human Cancer Genomics research, King Faisal Specialist Hospital and Research Centre (KFSH&RC) Riyadh, Saudi Arabia. Before joining at KFSH&RC, he was a Research Associate in the Department of Toxicology and Cancer Biology, University of Kentucky, Lexington, USA for a period of 2011- 2016. He received his PhD degree in Tumor Immunology from Mahatma Gandhi University in 2011. He has been an author or co-author of more than 58 published research articles including reviews and book chapters; these articles have received 1448 citations with an H-index of 23 (Google Scholar, up to December 25, 2017). Add to this, he is an active reviewer of more than 20 international research journals. He is a member of editorial boards of International Journals and served as guest editor for 4 special journal issues in his research area. He is a highly motivated and innovative molecular biologist expertise in development and execution of translational biology, genetic and biochemistry-based research methods. His research interest includes the elucidation of cancer chemo-resistance mechanisms; identification of novel therapeutic targets in breast, papillary thyroid, colon and ovarian cancers and their targeting with small molecule inhibitors.